The city of Nazareth hardly needs much of an introduction. According to the New Testament it is the site of the Annunciation, i.e. the place where the Angel Gabriel announced to the Virgin Mary that she would conceive and become the mother of Jesus Christ, the son of god, and it is thus also the place where Jesus would spend his childhood. Undoubtedly the Nazareth of Jesus' times and today's Nazareth have hardly anything in common, though a replica of the former can be found in Nazareth at the open air museum Nazareth Village. 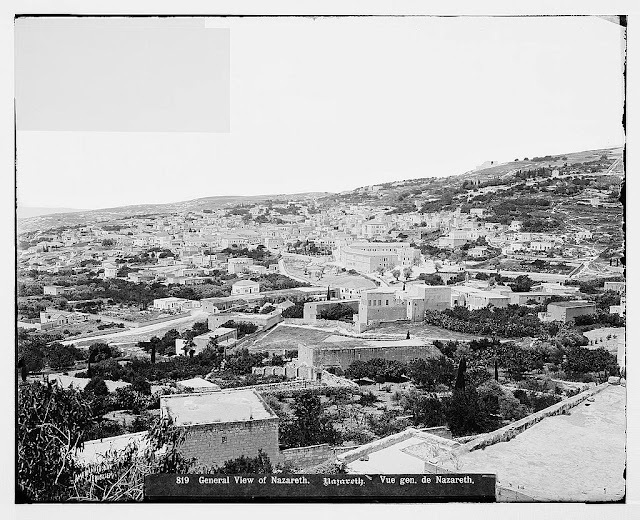 Nazareth today is really two towns; one, the bustling Arab madina where the Musas [Said's mother's maiden name] once flourished, and two, upper and Jewish or new Nazareth set ostentatiously on hills that command the Arab, or lower, city. For Mariam [Said's wife] and myself, Arab Nazareth was the only place we visited where we could quickly feel at home, so similar was it to a small-scale Amman or Beirut, the only pre-1948 site not totally violated and interrupted by subsequent history. 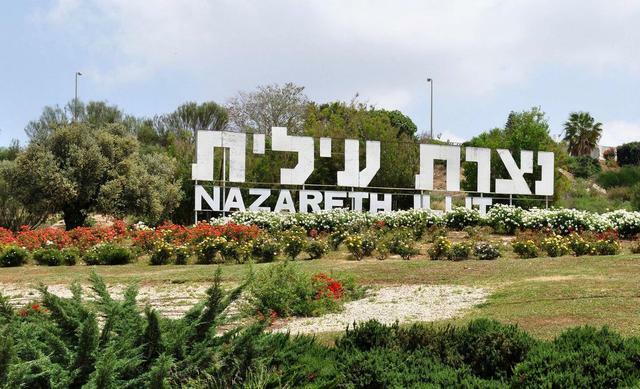 While Said is right about the fact that Nazareth was "not totally violated", he seems to be oblivious about the city's more recent history following the establishment of the State of Israel and the marks that it has left on his mother's home town. As opposed to the great cities of Jaffa, Haifa and Lod, which were almost completely emptied of its Palestinian population in 1948, Nazareth more than doubled in size during the course of Israel's War of Independence. Approximately 15,000 refugees from the surrounding villages poured into the city, seeking refuge from the Israeli troops, who basically spared the city from heavier attacks out of concern for the newly founded state's reputation amongst the international community. An assault on such a significant place as Nazareth, the Zionist leadership reasoned, would alarm the Christian world and may have a negative impact on young Israel's strive for international recognition. As a consequence of the influx of refugees, Nazareth's religious composition changed dramatically from a mainly Christian population to a Muslim majority one. The sudden demographic growth further turned the city into the only urban Palestinian space to have survived the 1948 war and made it Israel's largest Palestinian urban centre and the cultural capital for Palestinian citizens of Israel. That does not mean however, that Nazareth and its Palestinian population were not affected by the discriminatory policies of the Israeli state. Already in 1953, the government confiscated 1,900 dunams of Nazareth's farmland, claiming that it was taken for "public purposes". 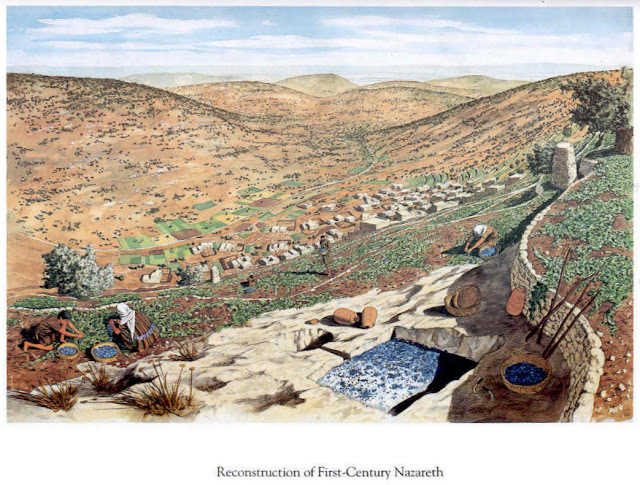 In reality however, the vast part of this land was used to build what Said refers to as the second Nazareth, a Jewish settlement called Nazareth Illit, or "Upper Nazareth". And yet, notwithstanding all the obstacles put in place by the Israeli government, the Palestinian population of Nazareth is still better off than the Palestinians in most other towns and "mixed cities" in Israel. 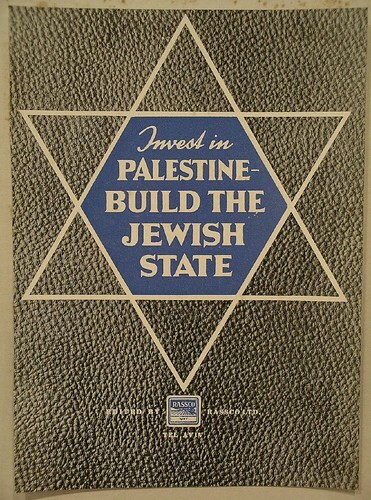 In fact, as a Palestinian friend of mine told me once humorously, the Nazarenes nowadays think of themselves as the New Yorkers among the Palestinians of '48, meaning those Palestinians who remained in what became the State of Israel. As opposed to other Palestinian urban centres within the State of Israel, the Nazarene population has a considerable middle class, and a large amount of Palestinians with high education. This is probably also due to the city's historic importance which, like many other Christian places, such as Bethlehem, leads to more financial support from the international Christian community. 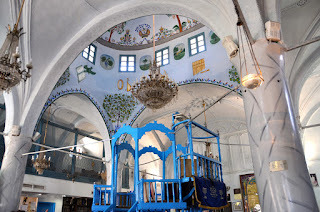 A tour to Nazareth is thus not only worthwhile in order to visit the holy sites, but will also get you a much better grasp of some of the realities of Palestinians with Israeli citizenship. Green Olive Tours, together with award winning journalist Jonathan Cook offer weekly tours to Nazareth, for more information follow this link. Thank you for the information. I went there for a day and bought a great book 'When your neighbor's the Savior' which, written by a local, has given me some understanding. But this helped considerably as well. I had a wonderful day there, but just didn't quite 'get it', as a friend from sri lanka and australia said he didn't quite 'get' Israel yet. Please though, could you capitalize 'Son of God', you capitalized Jesus, but only one who is 'of God' could have done the miracles He did, and if the Zionists respected the town enough not to destroy it, even if you don't believe Jesus is who He said He is, in the bible, nowhere are the words, 'son of god' put in lowercase, and perhaps you could at least respect that belief as well. Being tolerant means being respectful. Thank you. thank you very much for your comment, we're very pleased to hear that it was helpful. Let me tell you that we wholeheartedly respect people with different belief systems, no matter which, and we're sorry if you consider the spelling as a lack of respect. However, this is not a theological text and I therefore also do not capitalise "god", which simply reflects my own opinions and assumptions, and I would ask you to respect those as well.